Did you know that stress and emotional pain is NOT caused by external issues, but by the battle between who you really are and the false ideas you've been brainwashed to believe about yourself? Did you know financial problems are NOT caused by a lack of what's coming to you, but a lack of what you're allowing to come through you - because you've been conditioned to believe you're not enough, don't have enough, or need something outside to 'complete you'? Did you know most relationship issues (feeling unloved, unappreciated, resentful, alone) are directly related to being disconnected from your soul's purpose – which is the seat of your self-worth, authentic power, and indestructible value? You've been bombarded by messages from the moment you were born, telling you what you can't do, who you can't be, and what's not possible – and, as a coping mechanism to protect this precious core, you began to close off parts of your authentic, powerful, brilliant, gorgeously outrageous self! So is it any wonder that you've struggled to know who and what you are and the great purpose you were born for? And even when you've become aware of what might be possible, is it any wonder why you've had a hard time accepting your potential and really going for it? Re-connecting to your Soul Purpose Blueprint – that divine DNA — and bringing your life back into alignment with it will heal those lifelong traumas, and re-integrate those buried treasures, so that you'll never be a victim of circumstances again. Are you sick of working a job that smothers your spirit? Do you struggle to know what you're really meant to do? Do you doubt you have what it takes to make it? Are you afraid of what others will think if you do? Do you rarely have the time to pursue your passion? Are you tired of not making a living doing what you love? 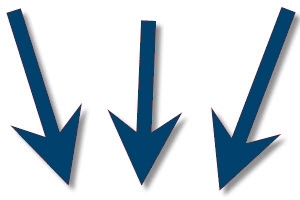 What has it cost you to remain unclear or disconnected? What has it done to your mental, emotional, and even physical health? Remember, most stress is caused by the battle between our authentic soul purpose and our resistance to it. How has this inner discontent impacted your happiness, your connection to others, and your opportunities in the world? 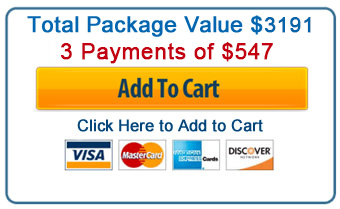 What will it cost you if things remain the same… a month from now… a year from now… five years from now? Really let yourself see and feel the price you’ve paid for not knowing who you really are, why you’re alive – and not living it fully. You can’t get to where you want to go until you’re willing to honestly feel where you’re at now. And if you’re waiting for things to change ‘out there,’ you’ll be waiting forever. Whatever you’re waiting for, you’re waiting with, and you’re weighing it down – because life happens through you, not to you. In speaking to tens of thousands of people from all over the world, one thing Derek knows for sure is that everyone has a powerful purpose trying to emerge in their life – including YOU. But what he also discovered is that most people's attempts to tap into their purpose – and many programs that teach this — are missing some very critical components, without which, you will never know the answer. This is THE FIRST PROGRAM to deal with these core reasons people fail to develop the clarity and commitment necessary for uncovering and fulfilling their soul purpose. In this BRAND NEW PROGRAM you will finally uncover your SOUL PURPOSE BLUEPRINT and start living that great destiny for which you were born. But it's more than just information. EVERY RECORDING IS ENCODED WITH A HEALING FREQUENCY. Just by listening, you will begin to dissolve the limited beliefs, unconscious blocks, and negative energy that have been holding you back. Realize your Soul Purpose Profile, that unique pattern being projected all around you, carrying your soul signature – but which we rarely see. Connect with The Heartbreak Bridge, that deeper mission of your heart that holds a powerful clue to your purpose. Discover your Soul Purpose Archetypal Patterns - that authentic expression of your talents, gifts, or abilities. Uncover your Vision Blinders – those unconscious commitments blocking you from clearly seeing and fully committing to your highest purpose. Learn The 3 Soul Purpose Pillars, the three parts of a True Vision that must be established to achieve your Soul Purpose. Clearly see The 7 Soul Purpose Perceptions, the 7 windows through which we see life — and through which our purpose fulfills itself. Tap into your Soul Purpose Power Source, a process that activates your sacred fuel and makes you truly unstoppable in achieving your vision. Develop The Quantum Plan, which will show you how to create your Soul Purpose Compass, become a One Minute Mystic, have The Greatest Day of Your Life, and design The Year That Changes Everything. It says in Proverbs, “Where there is no vision the people perish.” It doesn’t say where there’s no vision ‘people have a bad day,’ or make less money or can’t lose those last few pounds – no, where there is no vision, people die, or at least feel dead inside and live lives of quiet desperation. Having a clear, compelling vision is the single most important thing you can do to create an extraordinary life. And you can’t be a light in the world if you’re living in the dark! Having a vision is vital whether you’re an artist, entrepreneur, messenger, work for someone else – or want to find a job. It makes you a leader, not a follower. It gives you the power instead of looking to someone or something else for it. And in this first session of the program, Derek walks you through the deeper understanding of Vision, how it can radically transform every area of your life, and why now is your time for living it fully! 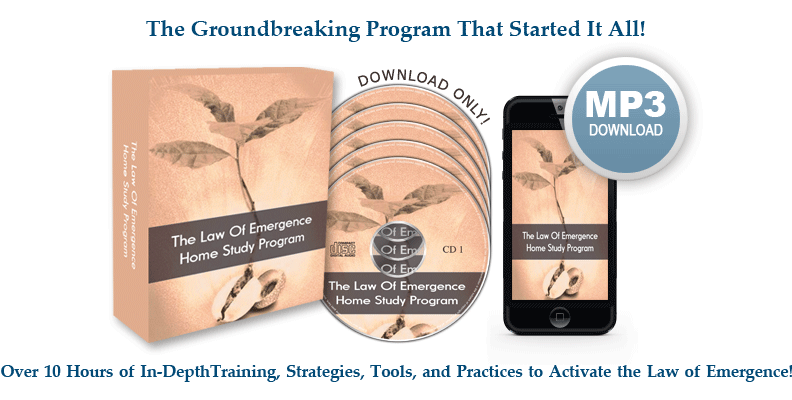 This program is unique amongst all other programs on purpose, in that, not only will it walk you through step-by-step how to tap into your vision, design, define, and plan it, but it will walk you through all the core reasons most people can't see, hear or sense into their vision – and help you break through those blocks and turn that blurry vision into a focused, crystal clear one. In this session, Derek walks you through all the components of this comprehensive soul purpose process, taking you deeper into the realization that everything you could ever need to fulfill it is already inside you now. This is the core of Derek's teaching on the Law of Emergence and the Emergineering program. If you don't know where you're going, every road will take you there! Here, you'll learn how to tap into your divine destiny — that seed of greatness already planted in the soil of your soul — and begin to connect with, and communicate, it more clearly. Applying this step alone will re-organize your life so powerfully that you'll begin to really know who you are and why you're here. This is one of the most important — and least understood — success principles. Normally reserved for the best-selling Emergineering program, Derek has included it here as a special BONUS! If you have difficulty uncovering your vision, mission, or message, this in-depth session takes you through a proprietary process for excavating these hidden riches within you. Before you try to make something happen to you, you must first discover what is trying to happen through you. After this session, you'll never be able to see your life in a limited way! Normally reserved for the Emergineering program, Derek has added it here as a special BONUS so that you would have the tools you need to go all the way! In this session, you get to own your deepest desires like never before – naming and claiming them fully in a process called The 100% Dream. Contrary to popular belief, it's easier to achieve what we really really want, than what we merely think we can get. This process will break you free from premature practicality and open you up to unlimited possibilities. In The Soul Purpose Profile you'll discover that your destiny is literally calling out to you everywhere you look — and learn a process for identifying and decoding these clues. This process alone has helped many people around the world tap into their authentic voice and power. Finally, we move into The Heartbreak Bridge, a powerful experience that allows you to identify those world issues that matter most to you – clues to the deeper work you're meant to do – and connect them to your unique soul signature, giving you a more complete picture of your Soul Purpose than ever before. In this session, you'll be guided through the 12 Soul Purpose Archetypal Patterns to discover which one you are. Is it the Mystic, Messenger, Artist or Visionary? The Teacher, Healer, Activist, or Servant? Or the Creator, Builder, Marketer, or Leader? Maybe you're a combination of several! Unlike any archetypal work you've done, these patterns are uniquely part of your soul purpose blueprint. Understanding what you are – and what you aren't – is one of the most liberating experiences, and one of the most common reasons people get stuck and become stagnant. This new level of clarity will end the struggle of thinking you have to be or should be something that you simply aren't — and finally free you to give your all in being WHO YOU REALLY ARE. In this multi-part session, we get into one of the most unique pieces of this program – uncovering the core filters that have been blinding you from seeing clearly and committing fully to the mighty mission trying to emerge through you. From the Escape Fantasy, Parental Fantasy, Premature Practicality, and Delusions of Grandeur, to the All-or-Nothing Syndrome, Need-to-Know Syndrome, Values Conflict, or Shadow Block, these unconscious patterns sabotage your ability to hear your guidance, feel your power, and live your purpose. In this in-depth process, you'll go deep into these core patterns, pull them up by the roots, and finally unleash the confidence and self-assurance you need to take your life to the next level. In this multi-layered session, you'll learn how to build The 3 Soul Purpose Pillars, the foundation of every great vision; you'll discover The 7 Soul Purpose Perceptions, the life structures through which your purpose expresses; and you'll tap into your Soul Purpose Power Source, a process that will make you truly unstoppable in going for your vision. In this final session, we'll pull everything together into a comprehensive strategy for success. You'll be guided to create Your Soul Purpose Compass - which will empower you to stay focused and on track - and your One-Year Plan, aka The Year That Changed Everything. You'll learn how to prioritize and create The Greatest Day of Your Life, over and over again - which will include Your Success Ritual, The One Minute Mystic practice to master the moment, and a technique for turning your to-do's into to-dones! You'll also gain a deeper understanding of why you hit Thresholds that threaten to take you off course…and how to live more in your Zone of Genius. When you complete this session, you'll be well on the road to true mastery! 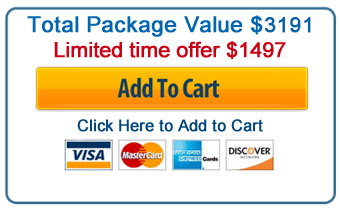 Normally reserved for Derek's high-end private clients, these special audios and videos are designed to accelerate everything you're doing in this program. From quantum planning to breaking through thresholds, you'll feel like you have a master coach on call 24/7! Take 30 days to go over this material. Listen to everything. Read everything. Start using it. 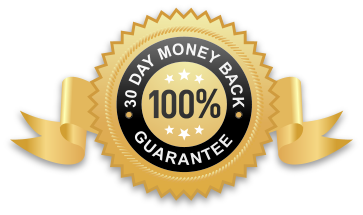 If, after diving into your program and giving it 100%, you are not completely satisfied, simply email us within 30 days of the original purchase date and you will receive a full refund or exchange for another program. Please note: No refunds will be made after the 30 days from purchase. “I have only had one other person on my show more than once (let alone four times). I've had the greats, Jack Canfield, Dr. DeMartini, Lisa Nichols, Marci Shimoff — all the people from the Secret — and you, Derek, are far more powerful. I can see your teachings touching the lives of millions all over the world,” Constance Arnold, popular radio host. “Derek, you've been the most inspiring speaker I've ever heard. You moved me through a threshold that held me back for seven long, frustrating years, and helped me recognize that keeping myself small to please others had to stop. Listening to you has changed me from the inside out. I've learned from many teachers, but I've never felt like falling on my knees in gratitude like I do when I listen to you. You're the first man other than Jesus I would call my Guru. You've changed my life. Thank you.” – Cathy A. “I've had so many revelations during this course, it amazes me. It has opened me to the infinite love of God that can only express as all that I desire. WOW, you gave me that. You put it in a way I could finally understand and apply. And the list goes on. You have a real gift. Thank you!” – Susan B. 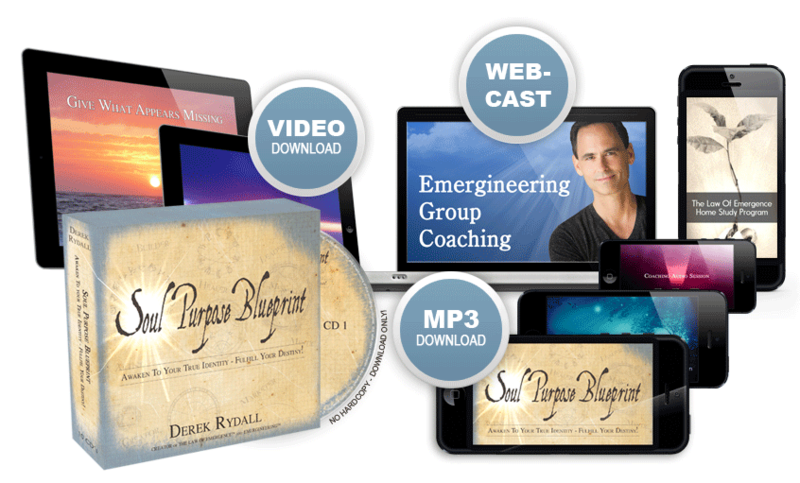 The #1 expert on the Law of Emergence, Derek Rydall is part of a new generation of spiritual visionaries and revolutionary thought leaders. 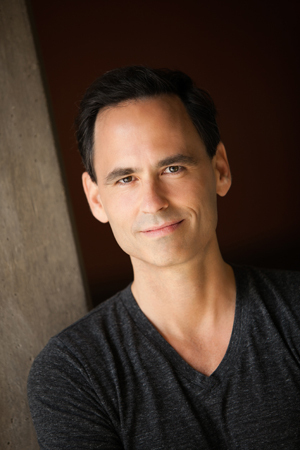 He has trained top executives at Fortune 500 companies in communications and empowered leadership (from American Express to Disney), coached Oscar and Emmy winning celebrities and media professionals on creating conscious entertainment, is a professional screenwriter, best-selling author and a regular contributor to The Huffington Post. Through two decades of speaking, teaching, coaching and writing, Derek has built a global platform that touches hundreds of thousands of people around the planet with his message on finding your path, living your purpose and making a powerful impact in the world! Copyright © Derek Rydall. All Rights Reserved, Emerging Edge Media, Inc.